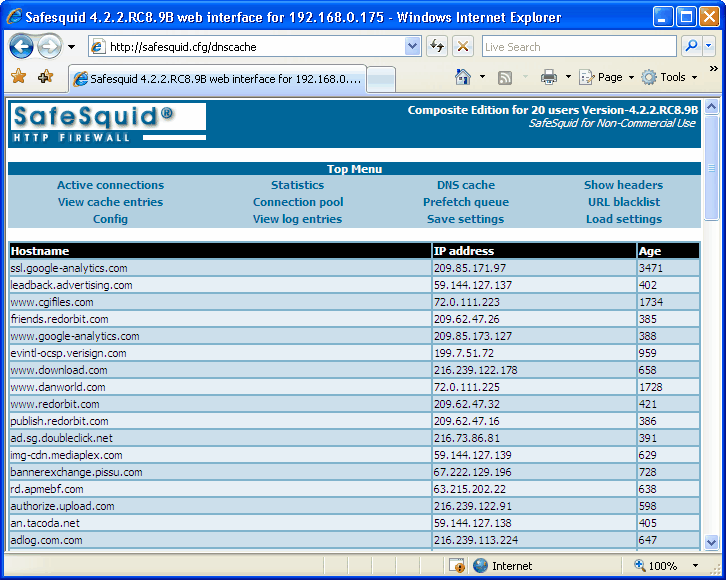 request is made for the same web site, SafeSquid® can easily get the address from the DNS cache. These entries remain in the DNS Cache for 360 seconds, and then it is refreshed, i.e. after 360 seconds, Proxy has to resolve DNS again.